hope to see you in this summer. 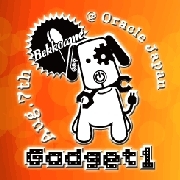 Copyright 2009-2010 Gadget1実行委員会. All Rights Reserved.